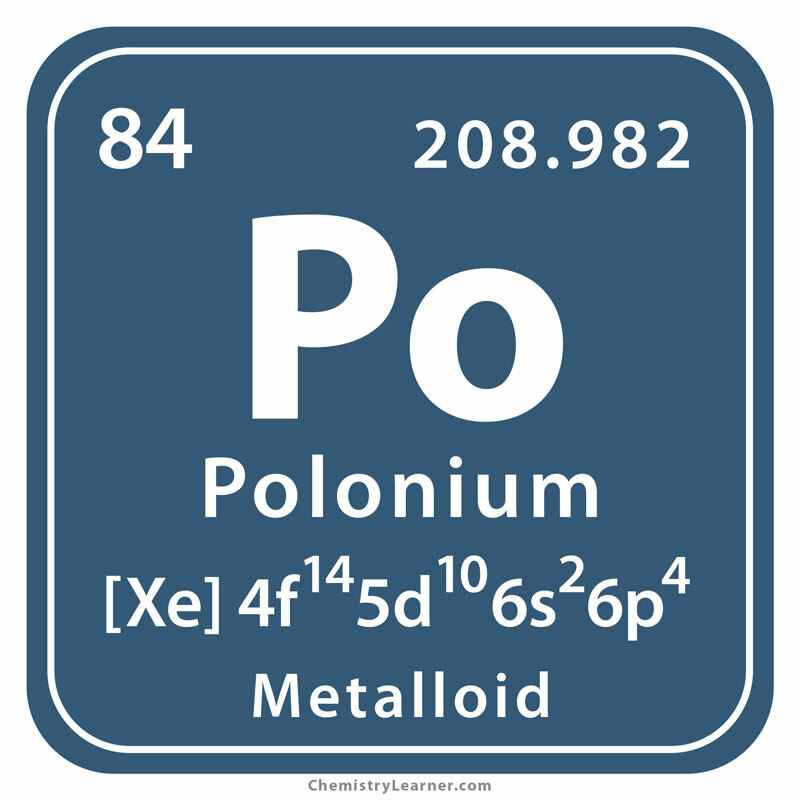 Polonium-210 (symbol Po-210) is a highly radioactive and poisonous isotope of Polonium. It was discovered by Marie and Pierre Curie in 1897 while investigating uranium ores. It was named after Poland, Marie’s motherland. Due to its short half-life, it quickly ceases to be dangerous. Its radiation, though powerful, can be stopped by relatively thinner material like paper . Its atomic mass is 209.98 and molar mass is 209.98 g/mol . The number of electrons and protons is 84 each while the number of neutrons is 126 . 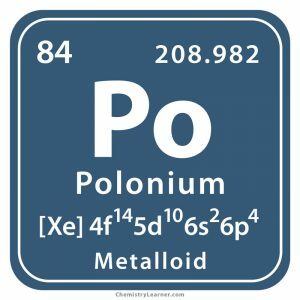 This polonium isotope is present in small amounts in the human body due to its low abundance in the natural environment and hence, the food chain. Tobacco smokers have more amounts of it in their bodies since smoking causes it to accumulate in the lungs. It can be extracted from rocks containing radium 226 and uranium. Only around 100 g of the isotope is produced in nuclear reactors . Po 210 undergoes alpha decay to form a stable isotope of lead (Pb 206). The equation for the decay reaction that also emits a helium nucleus is as follows. It has a physical half-life of 138 days and a biological half-life of 40 days [1, 3]. To free some industrial processes of static electricity. As a source of energy in the production of nuclear weapons. In the oil industry, making antistatic brushes. Note that it is not available in a harmful form in its industrial applications . Po-210 is one of the deadliest poisons, around 250 billion times more toxic than hydrogen cyanide. Just a microgram of the isotope is enough to deliver a fatal dose of radiation. However, it needs to be introduced in the body for causing any harm. It could be through swallowing, wounds or inhalation. The poisoning symptoms include hair loss, immune system failure, genetic disorders, etc. It is a known carcinogen . A lethal dose of Po 210 was used to kill a Russian spy, Alexander Litvinenko, in London in 2006. He was administered the isotope by mixing it with his tea at a business meeting . The Russian astronauts who landed on the moon used it to keep the parts of their spacecraft warm at night .